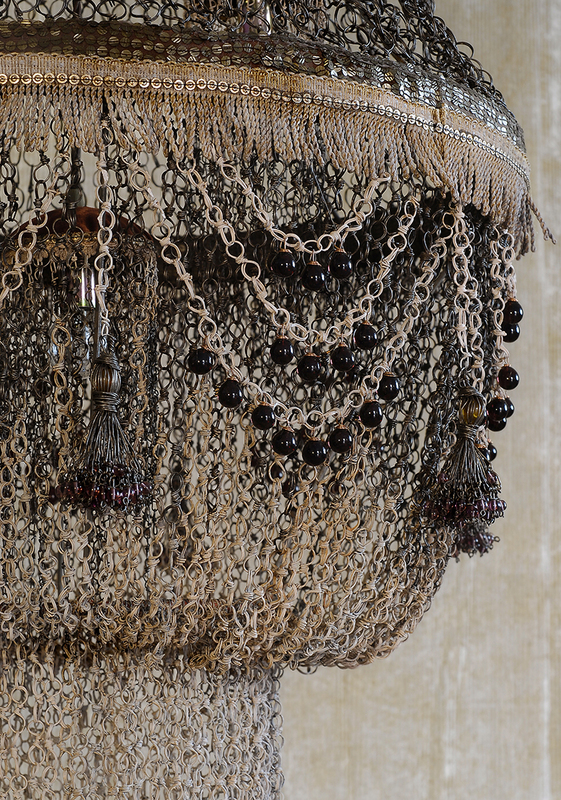 Chain and knot; these are the words of the new 2016 chandelier collection, realized completely in natural and painted iron. 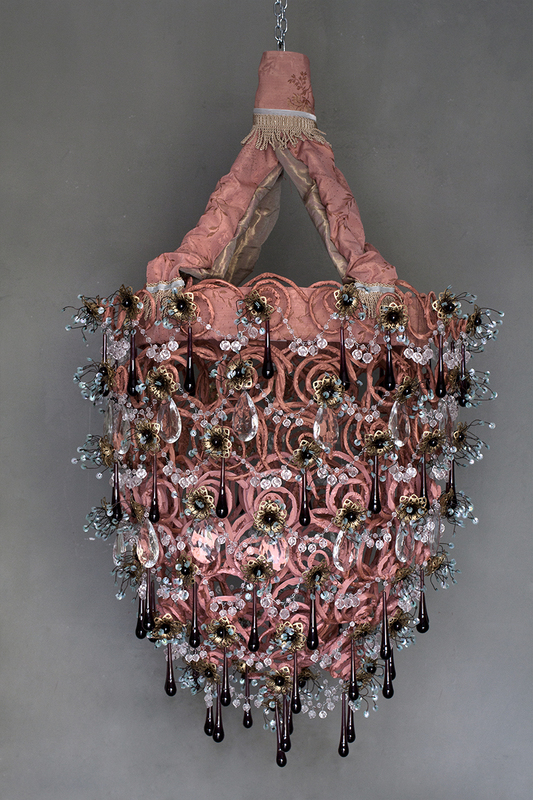 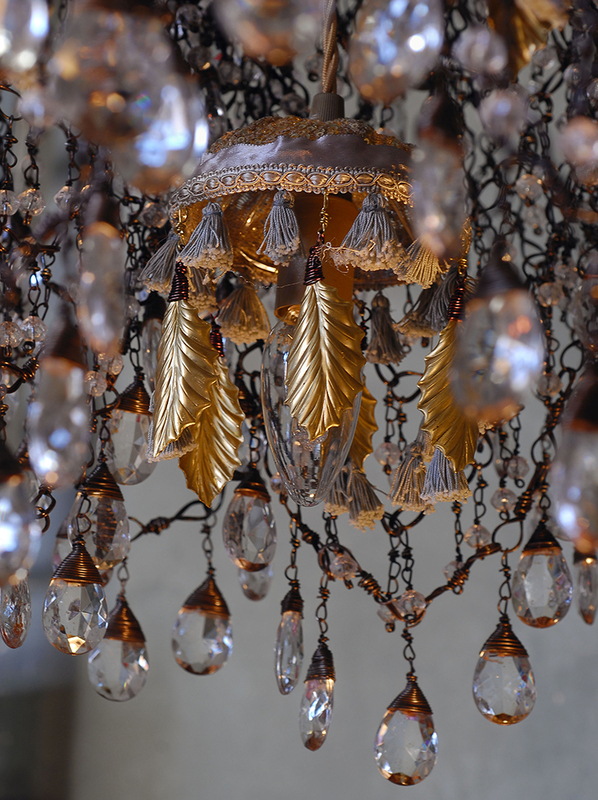 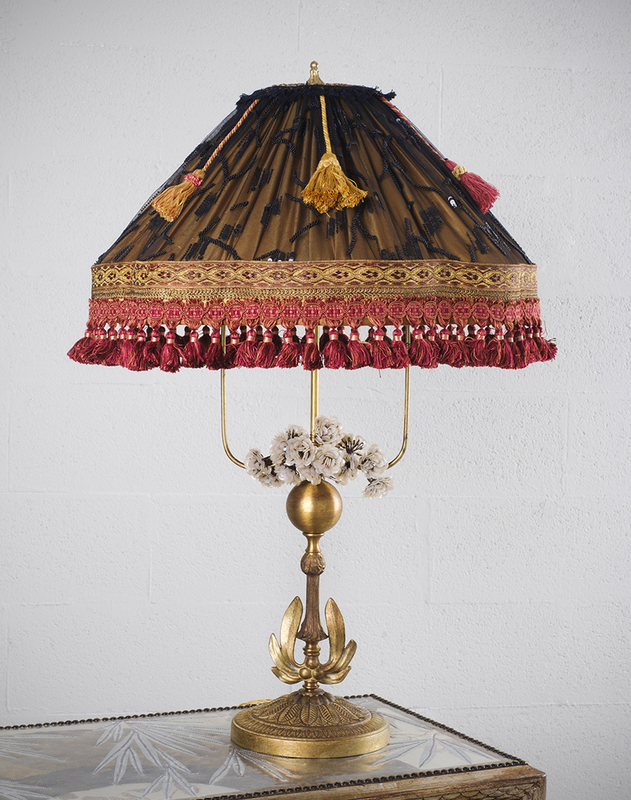 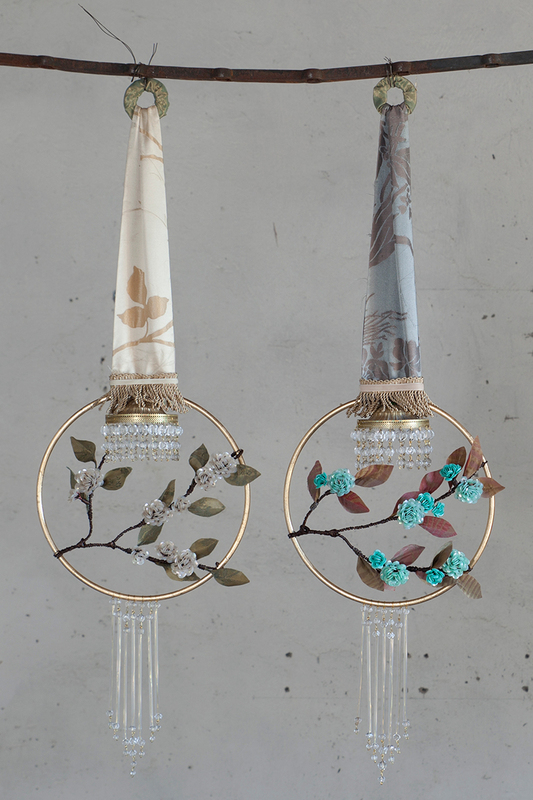 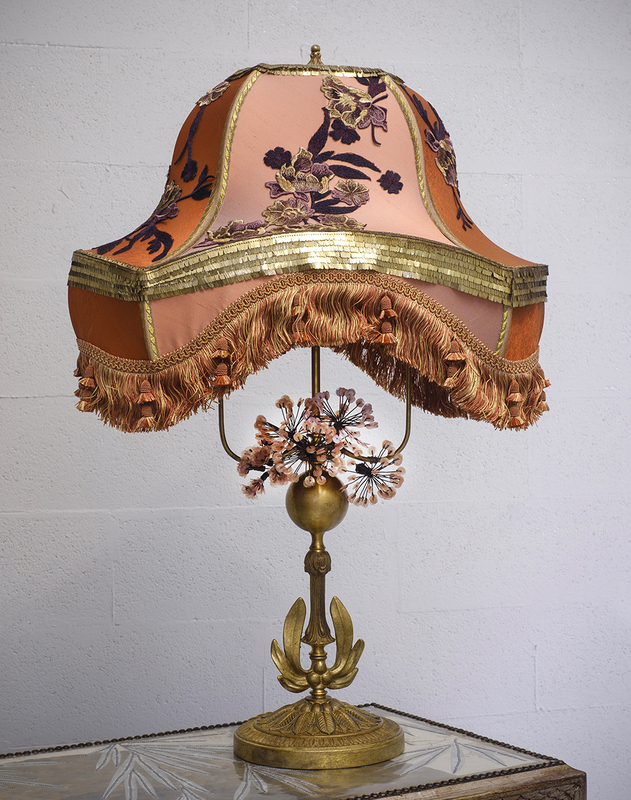 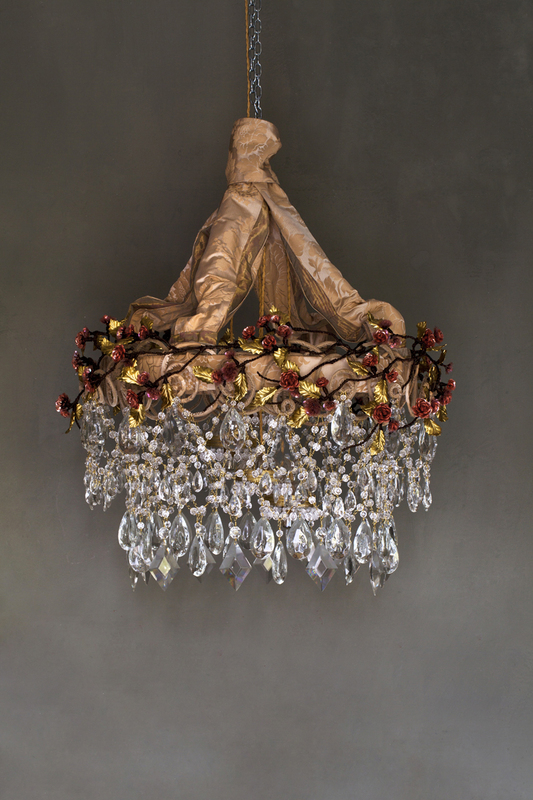 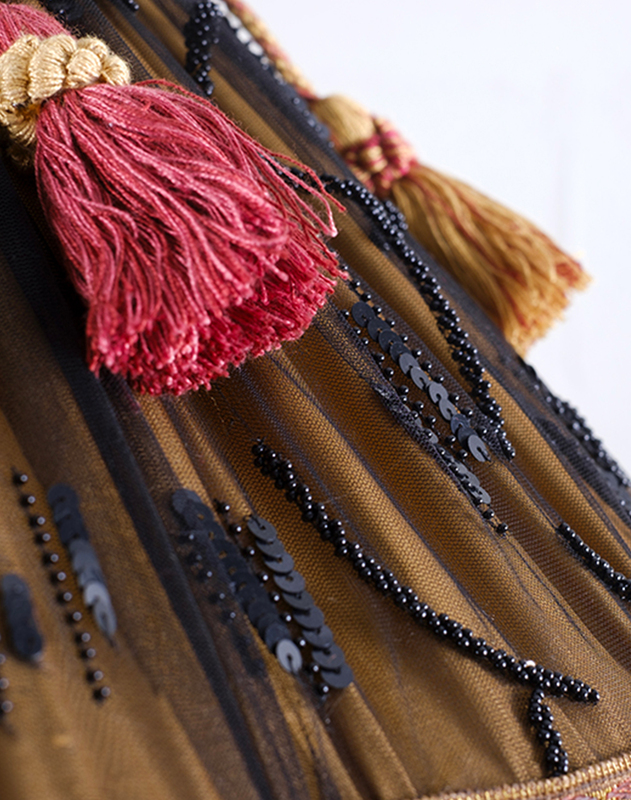 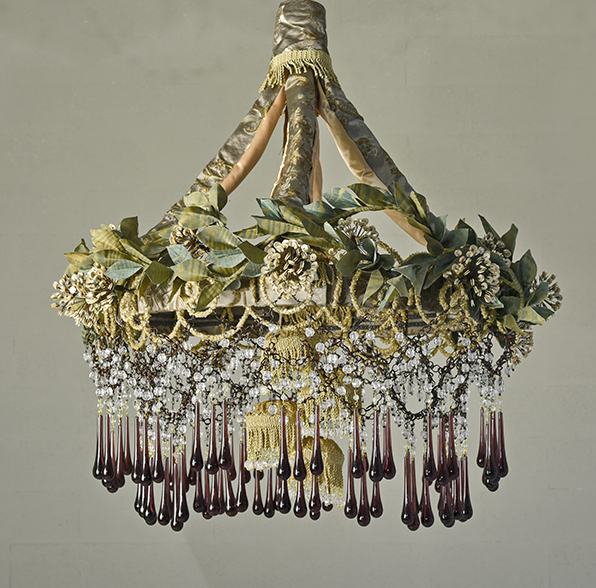 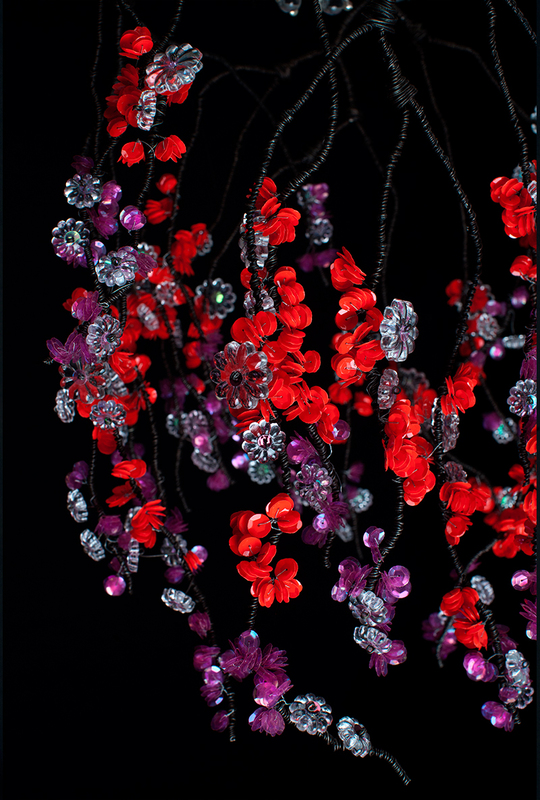 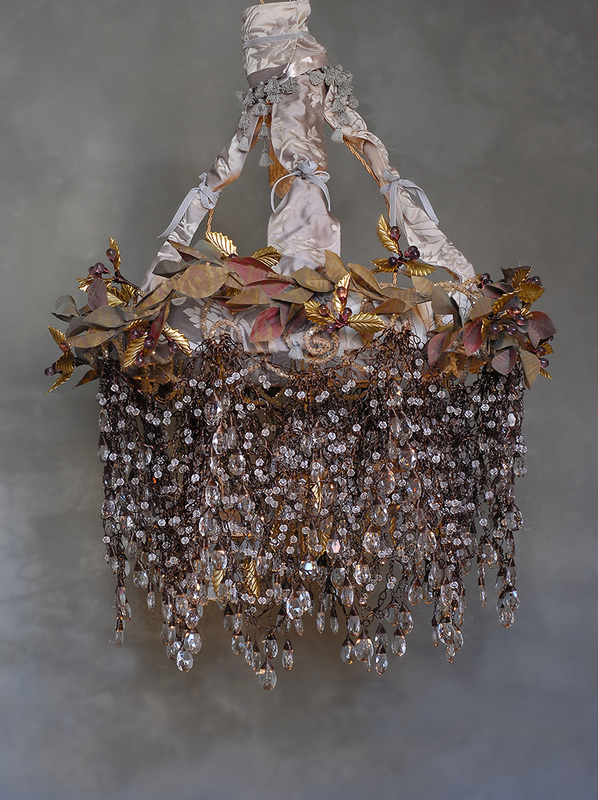 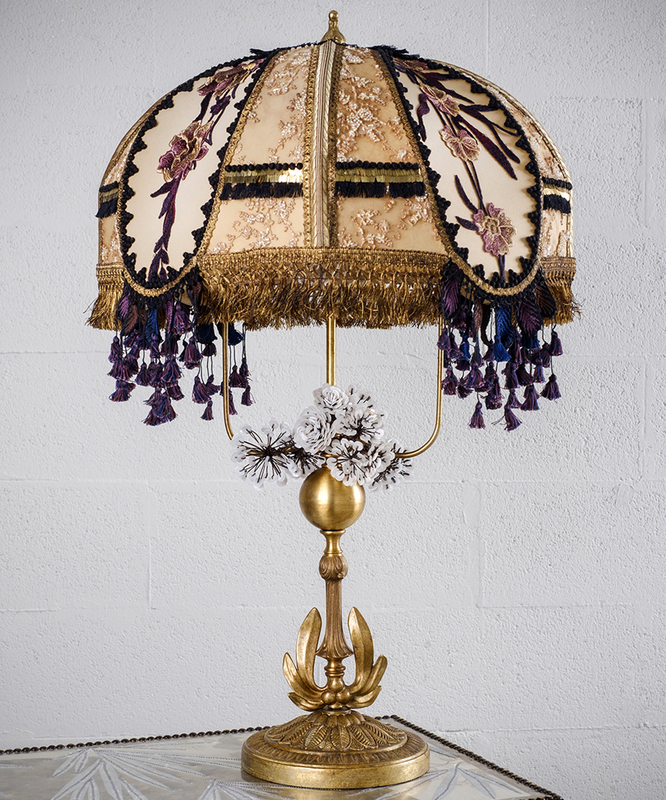 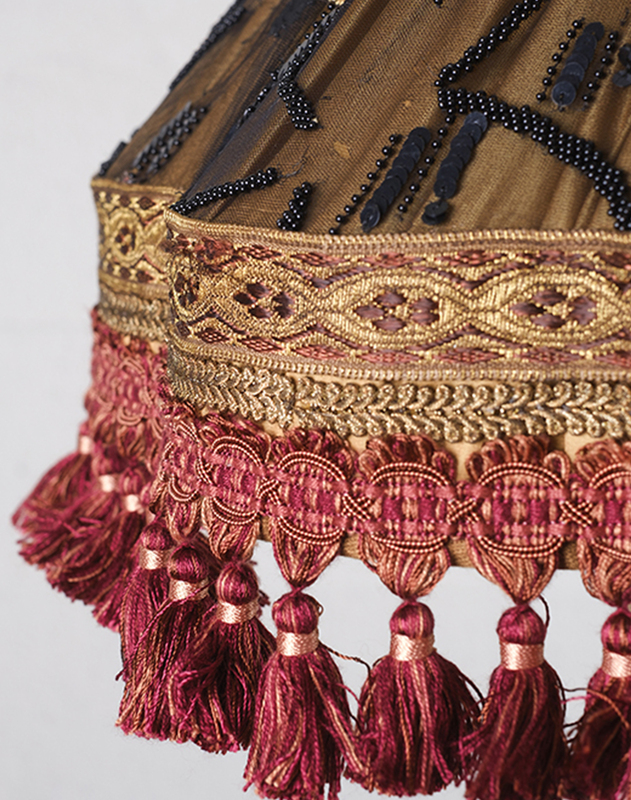 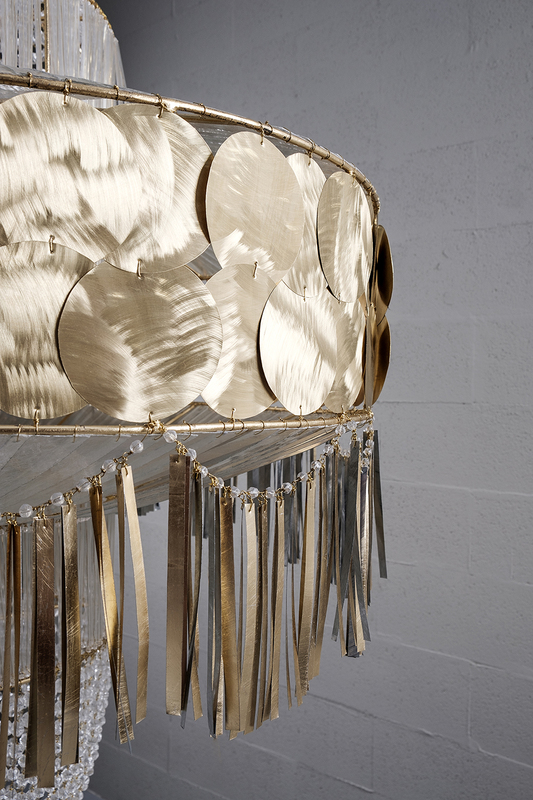 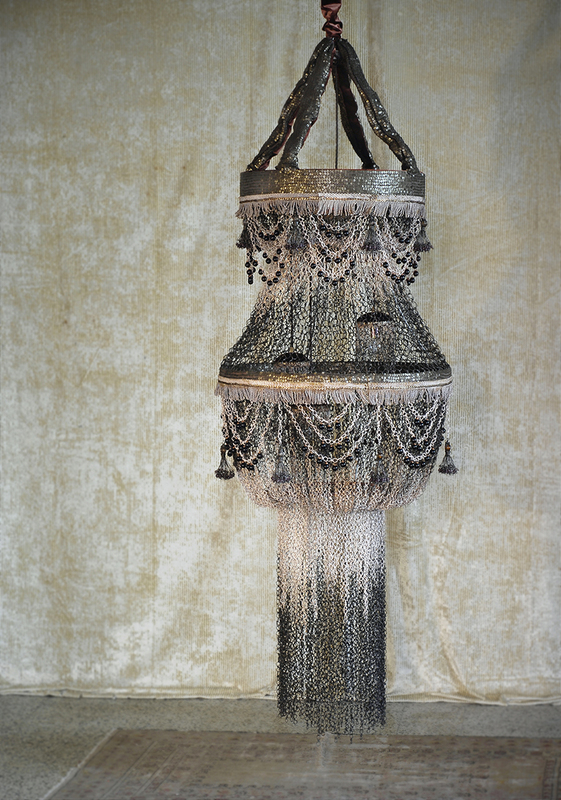 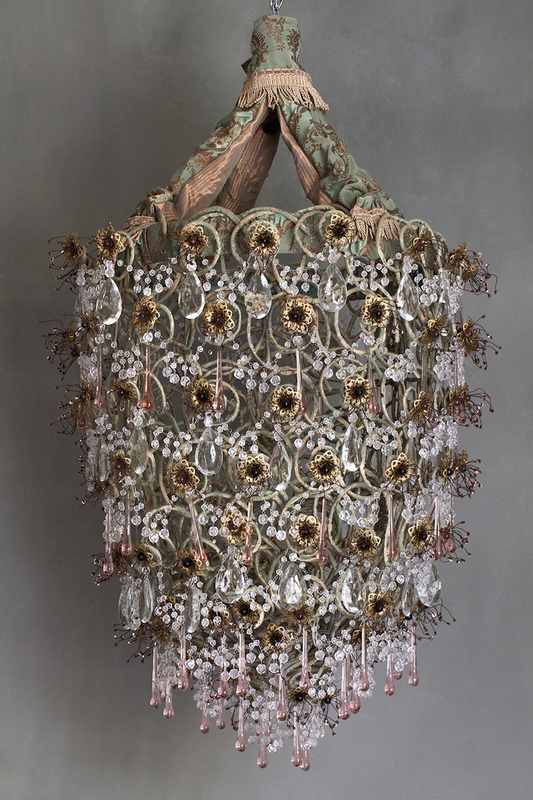 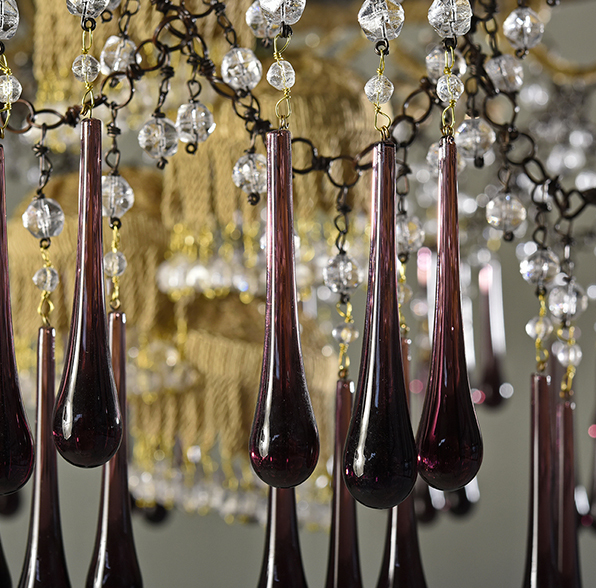 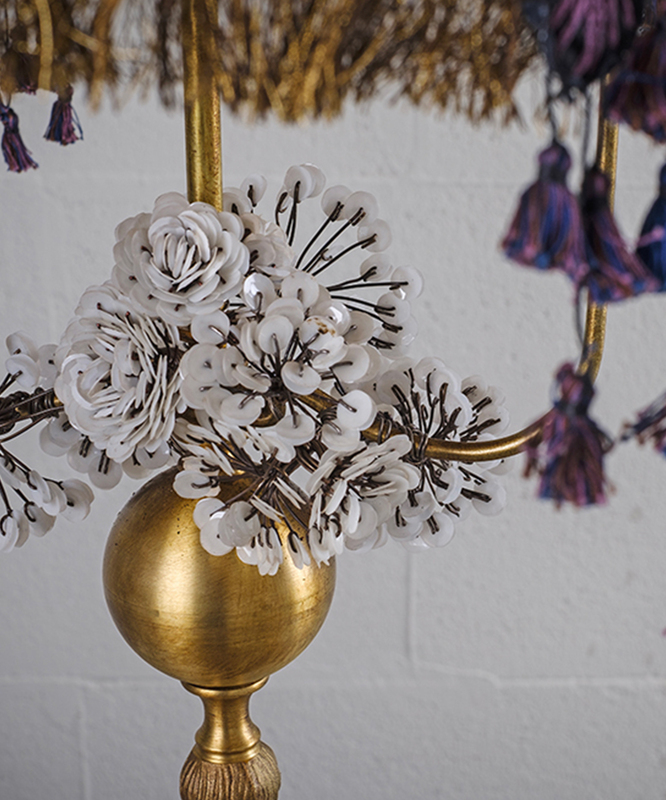 This chandelier eschews fabric, crystals, and sequins, going back to the partly painted and wax scented raw material. 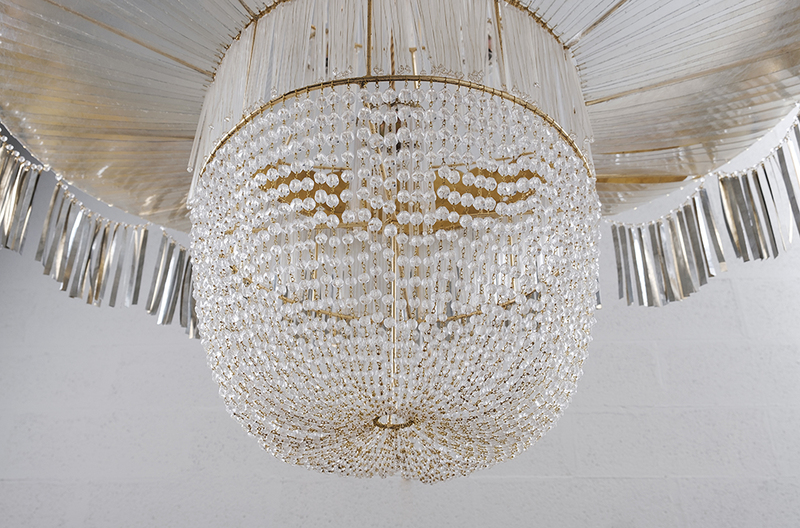 10.000 Nodi is a very decorative chandelier, able to characterize any kind of space. 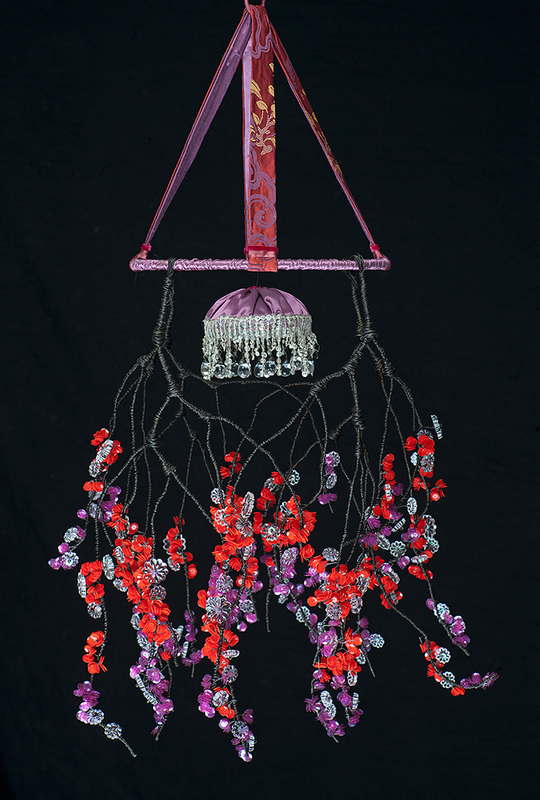 The main body is shaped of handmade chains consisting of 10.000 knots. 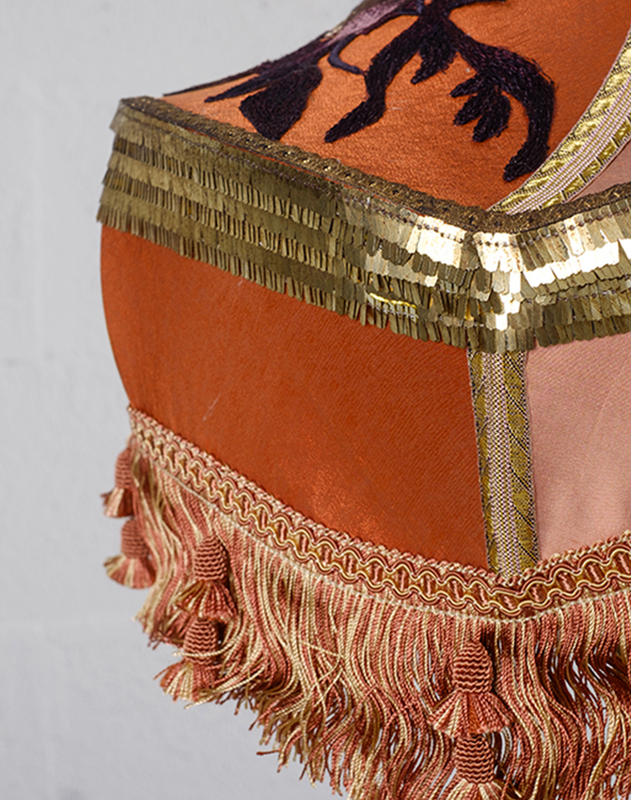 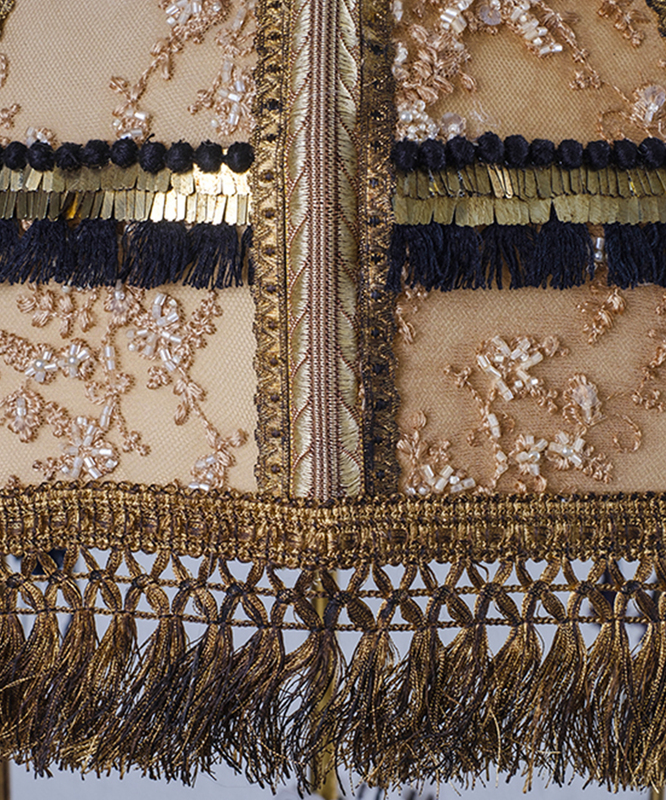 Painstaking work using humble and simple material and turns it into something precious, refined by the insertion of crystals, fabric and trimming. 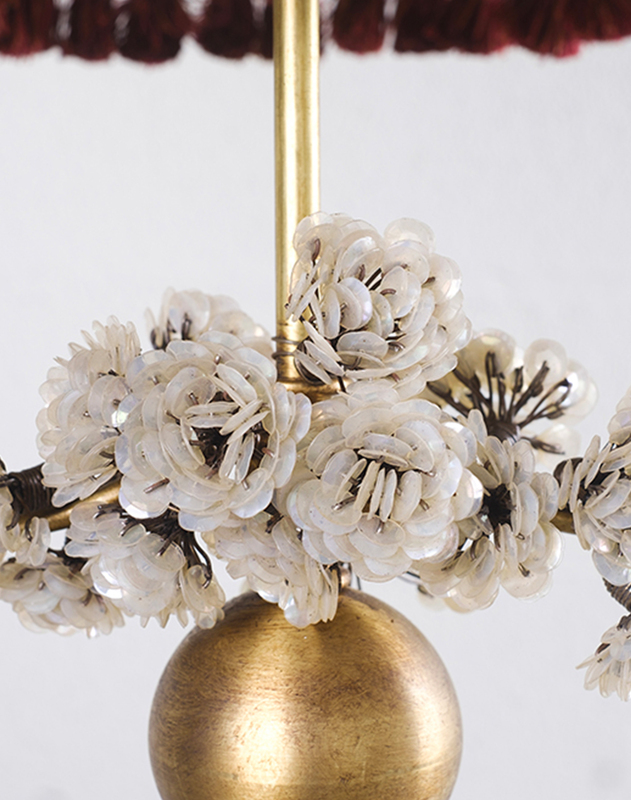 “Wrought out only in metal, Nudo is a return to a bare matter. 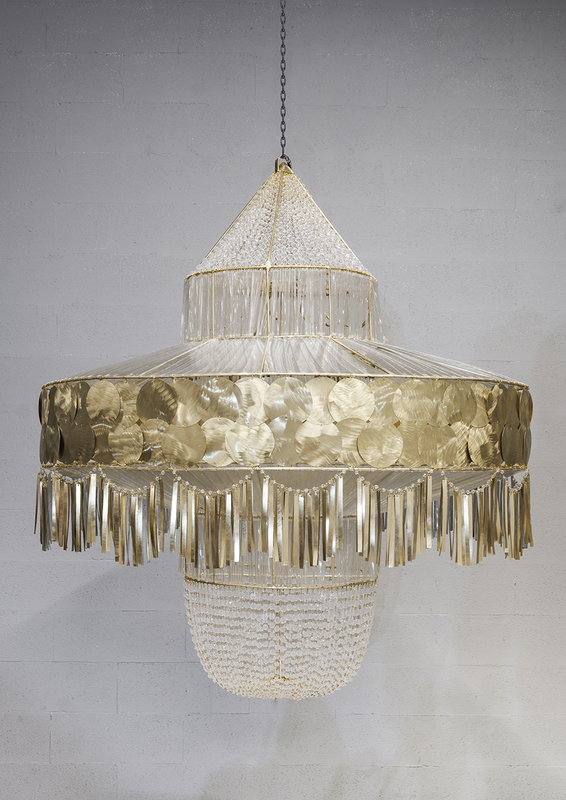 The focal point of the new chandelier collection, Nudo is intimately connected to basic materials, its craftsmanship inspired by Africa and the tribal artistic production. 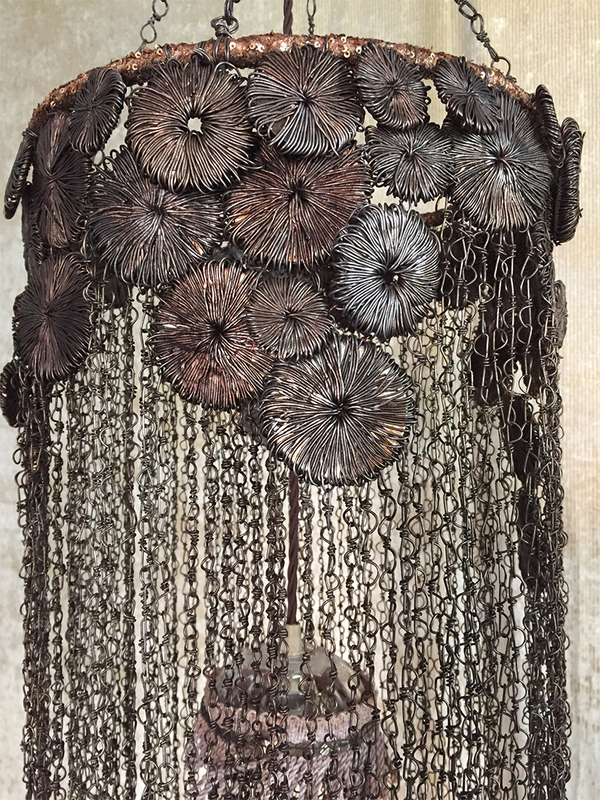 Its shape, provided by 1 kilometre of knotted iron wire, forms a cascade of chains, while the coarse harmony of the floral decoration recalls the Liberty motif in a original and personal style. 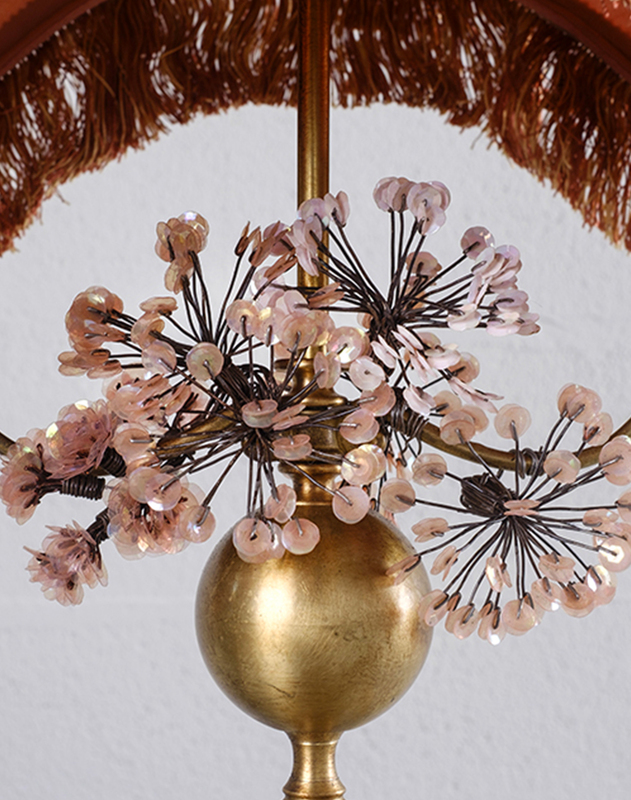 3,000 sequins are strung together by 100 meters of iron wire to create rose branches, the thematic flower for this refined chandelier. 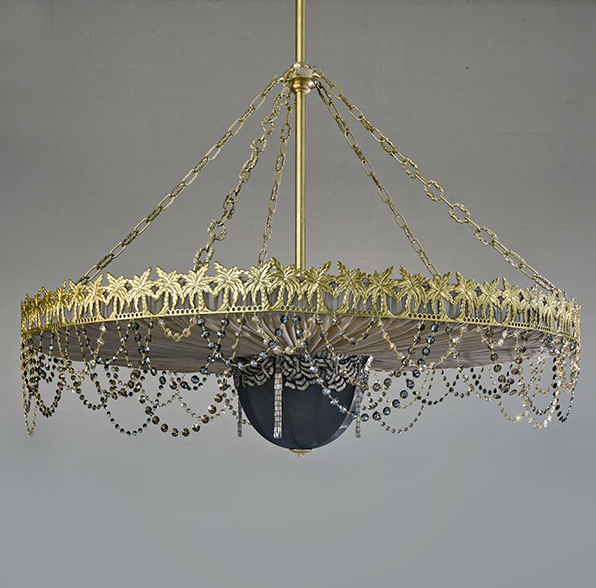 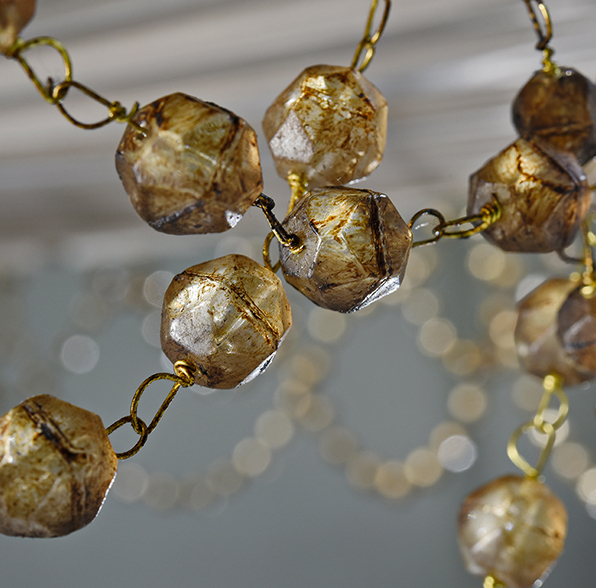 It is decorated with golden chains and classic transparent crystals. 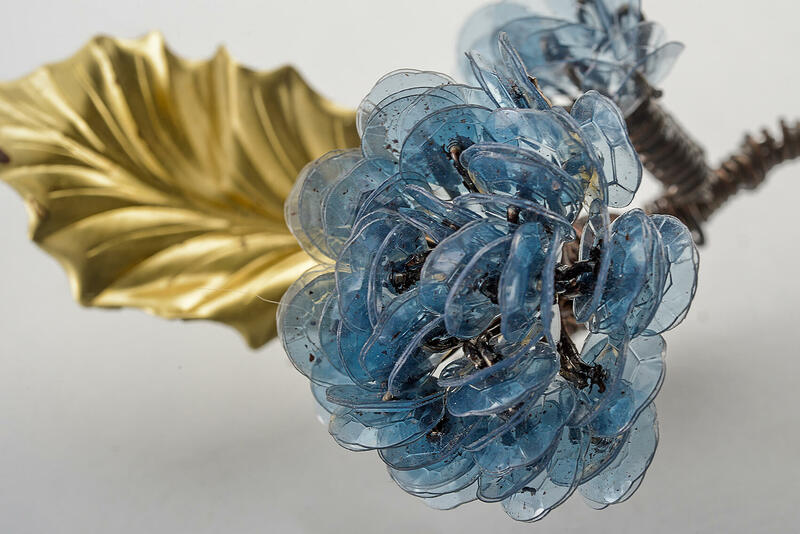 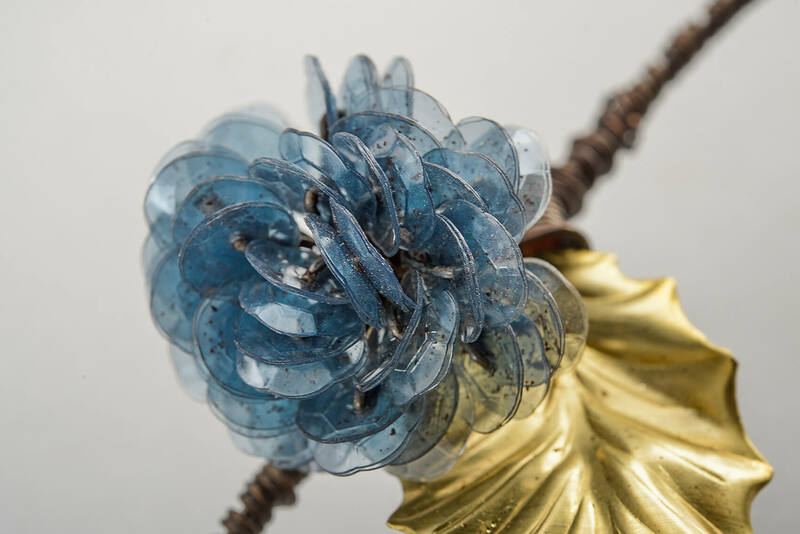 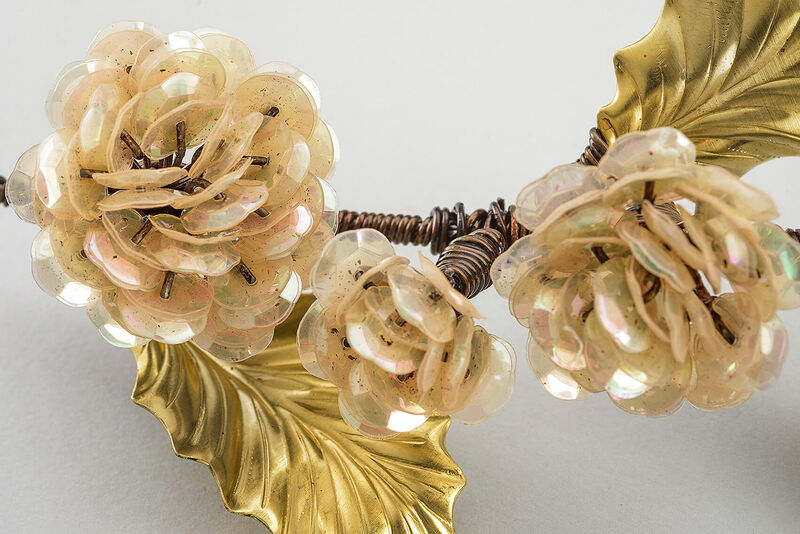 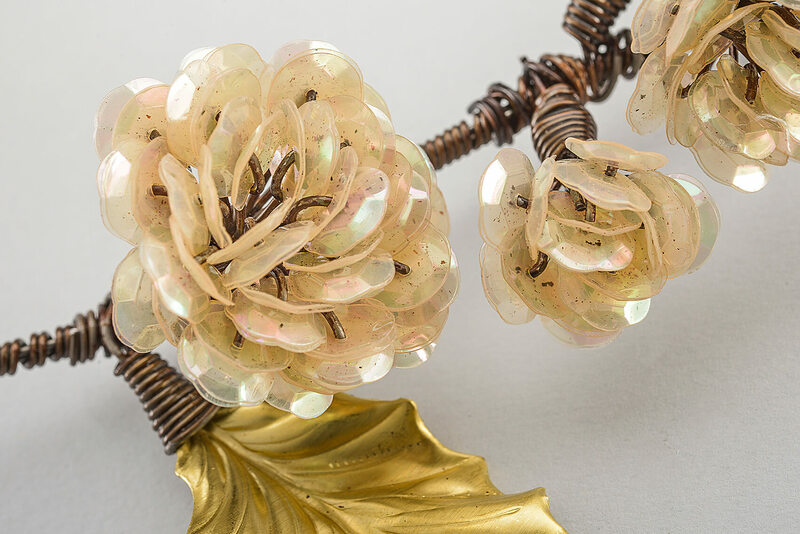 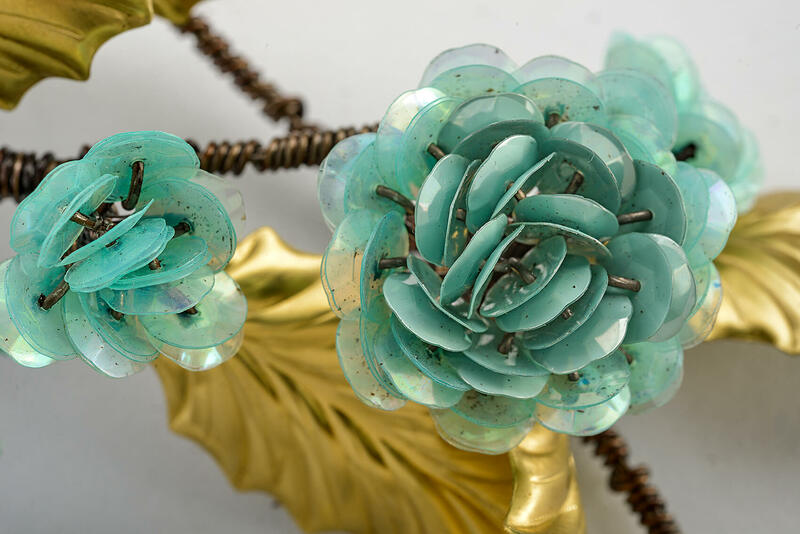 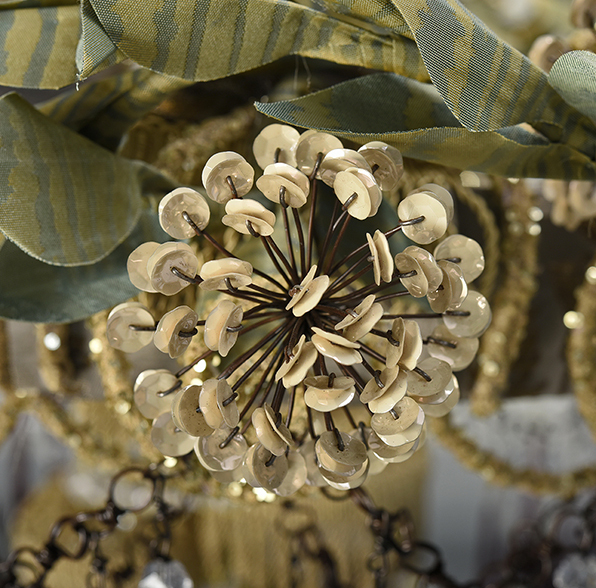 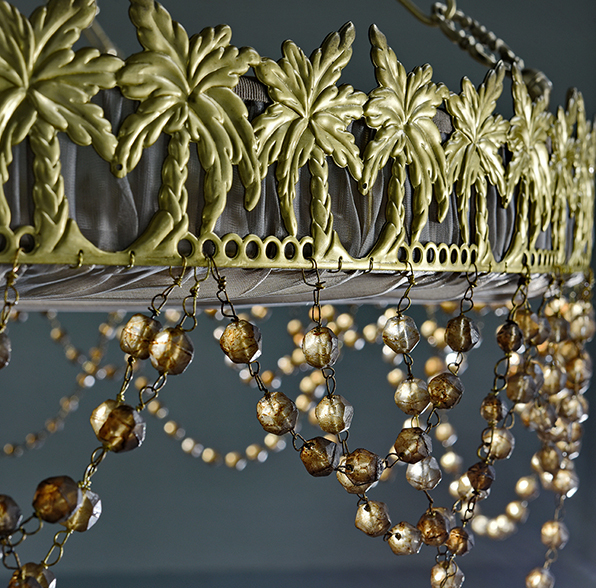 Gilded leaves, glass berries and 1,100 English chained pearls. 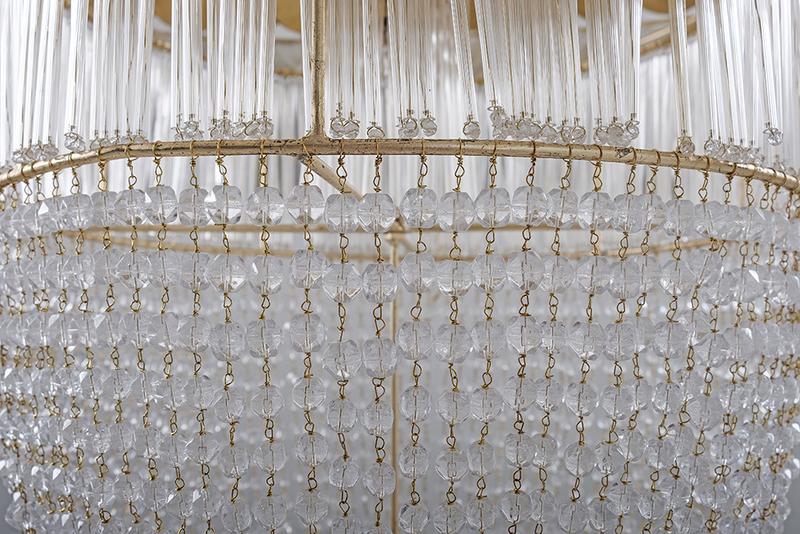 This classic and sophisticated chandelier consists of a cascade of bright crystals which make it a strongly decorative object. 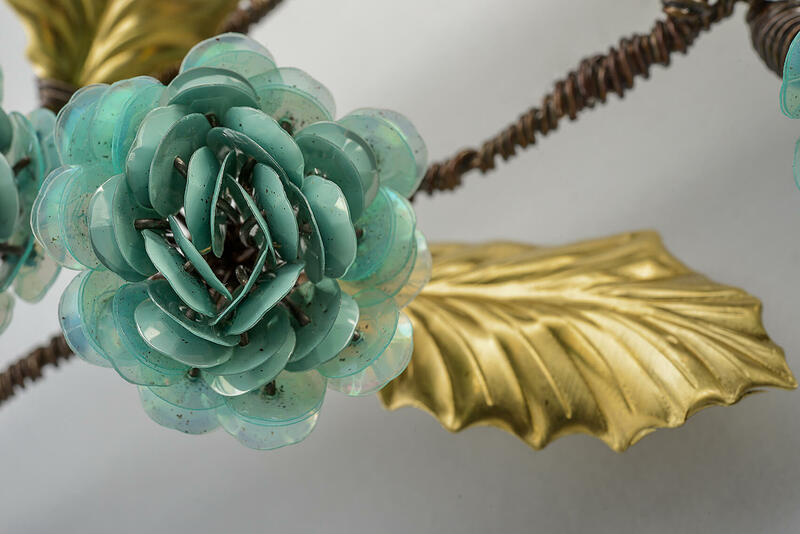 This chandelier, with its pine cone shape, is characterized by a spiral shape which is a decorative but also a structural element: it is made up of 100 spirals upholstered with fabric, boxed in and entwined one to another so as to form a free standing structure. 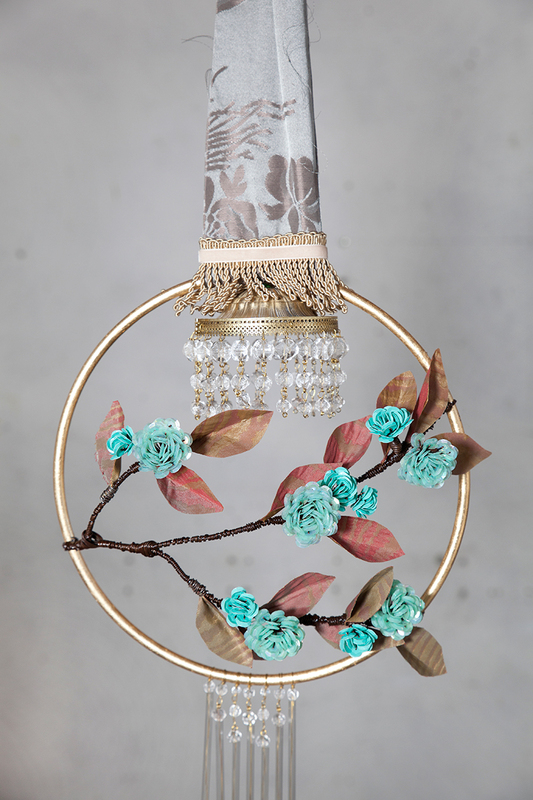 Crystals, iron wire and floral brass decoration complete and decorate it. 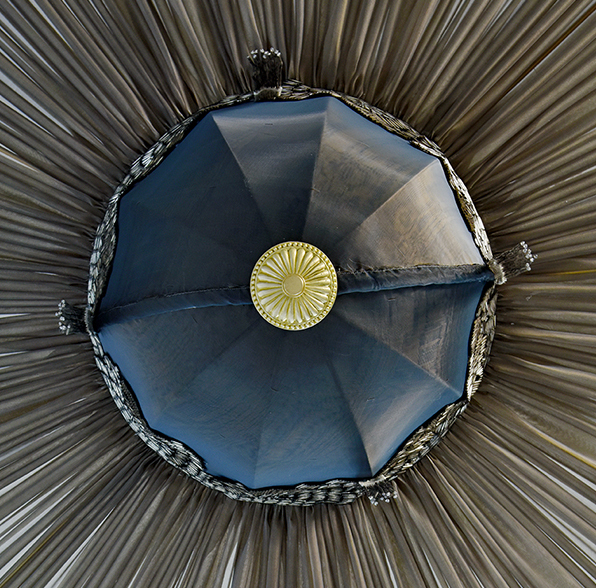 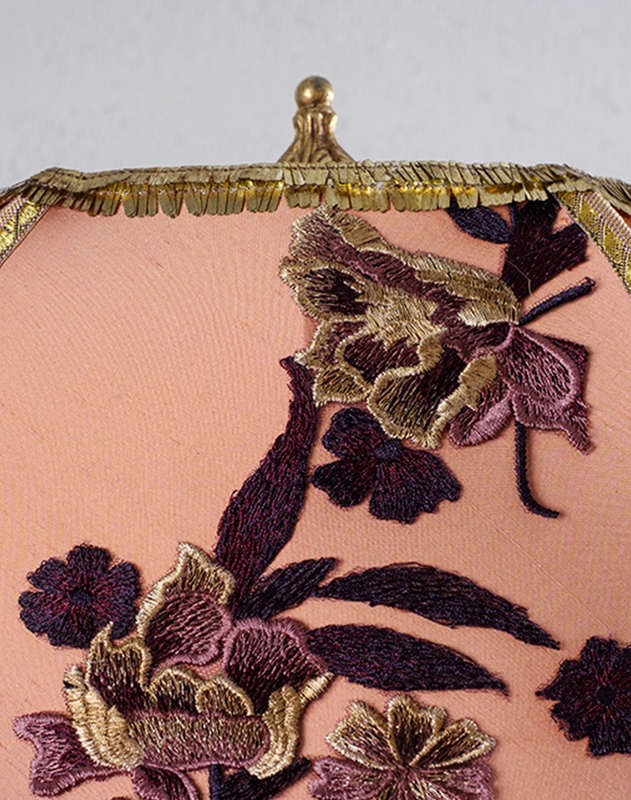 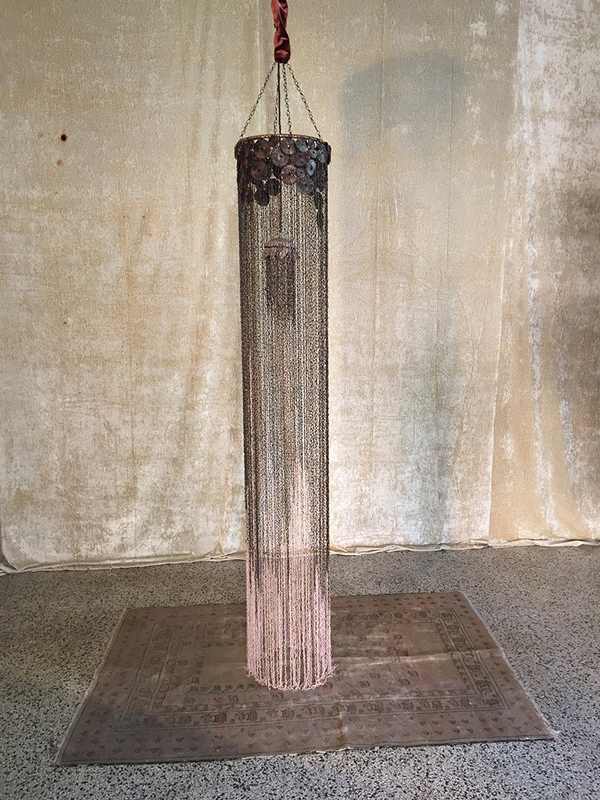 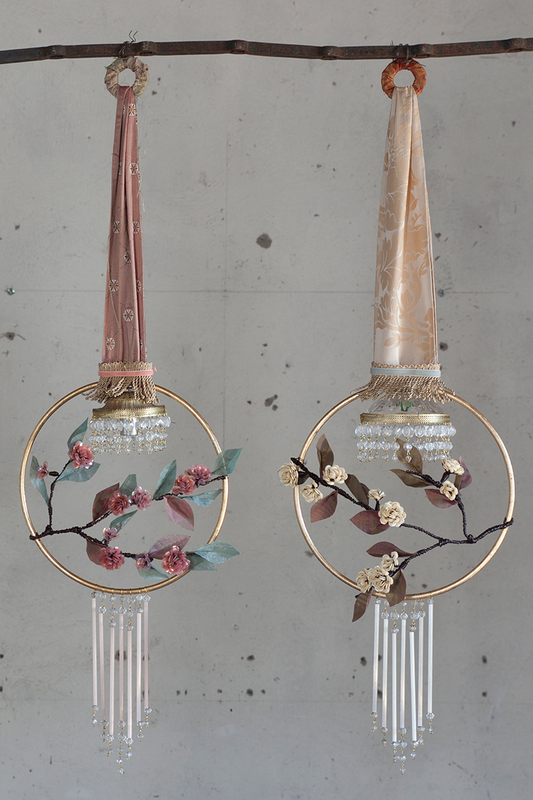 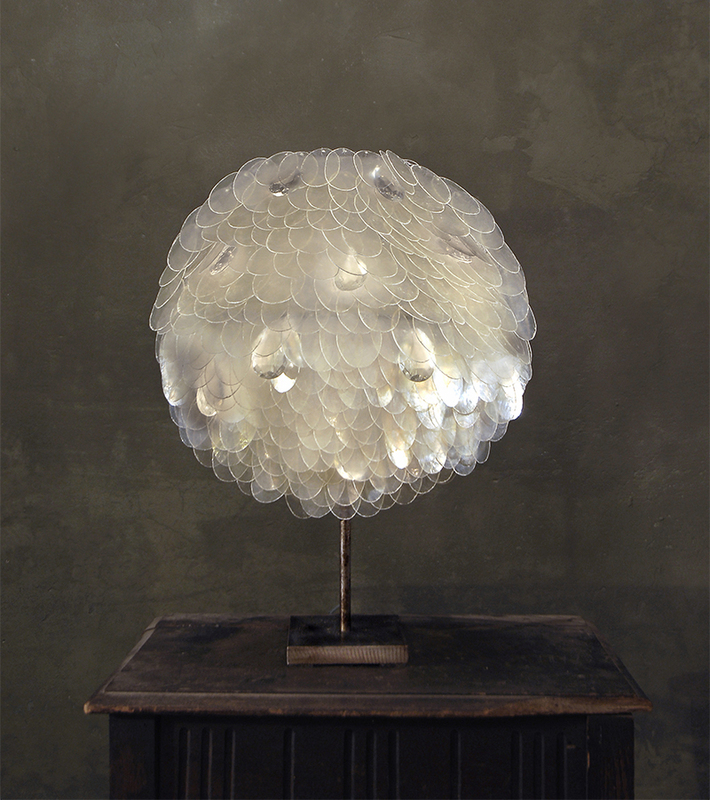 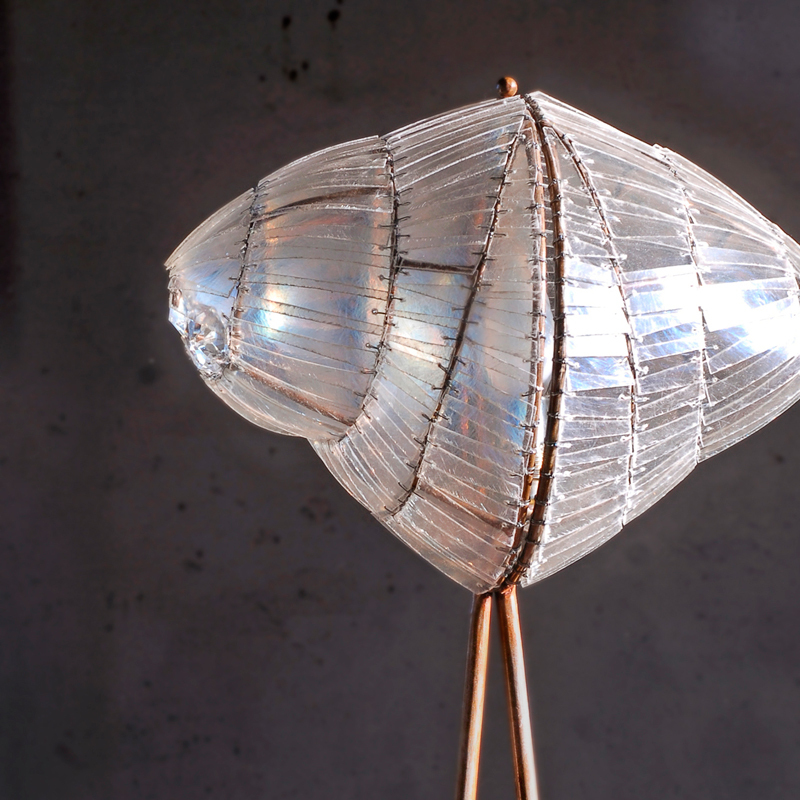 A tribute to Japanese poetry from XVII century, this lamp characterized by a delicate and refined style, is made up of steel and sequins around a little woven, trimmings and crystal light. 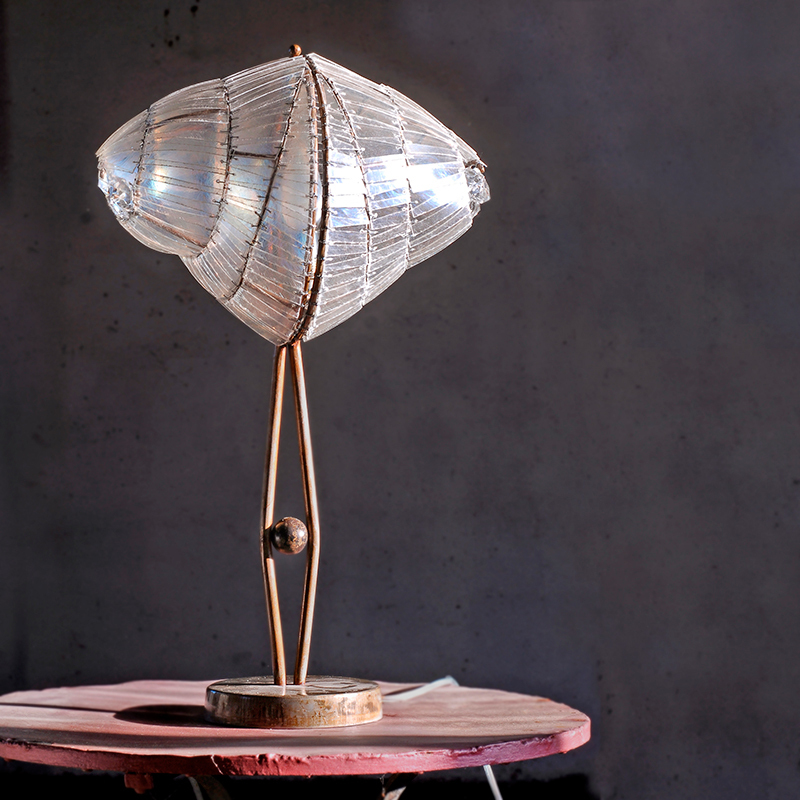 Inspired by the atmosphere of the beginning of the twentieth century, this table lamp is rigorous and contemporary in its shape thanks to the use of industrial materials such as iron, fiberglass and metal net. 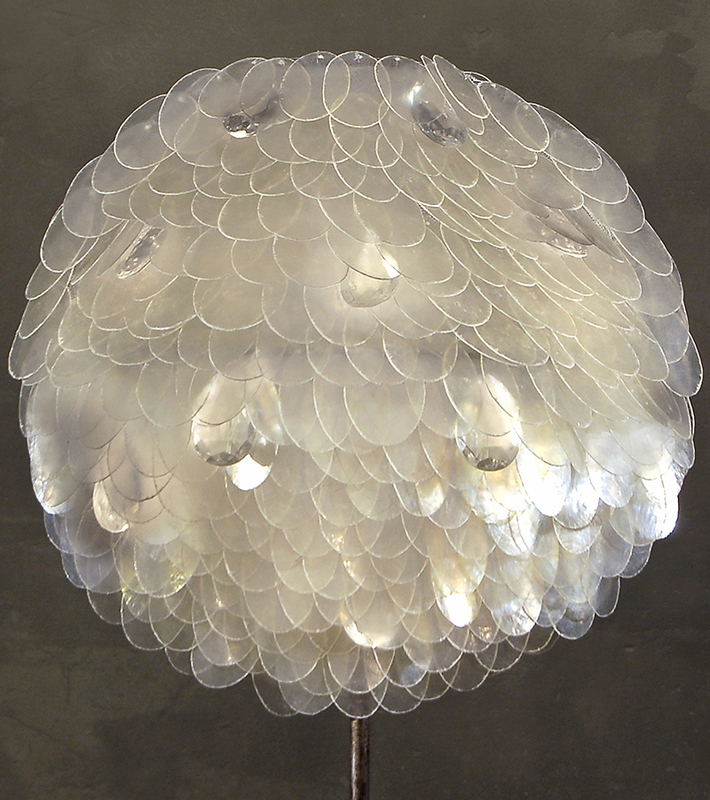 It is characterized by oval elements resembling fish scales in their iridescence and brightness. 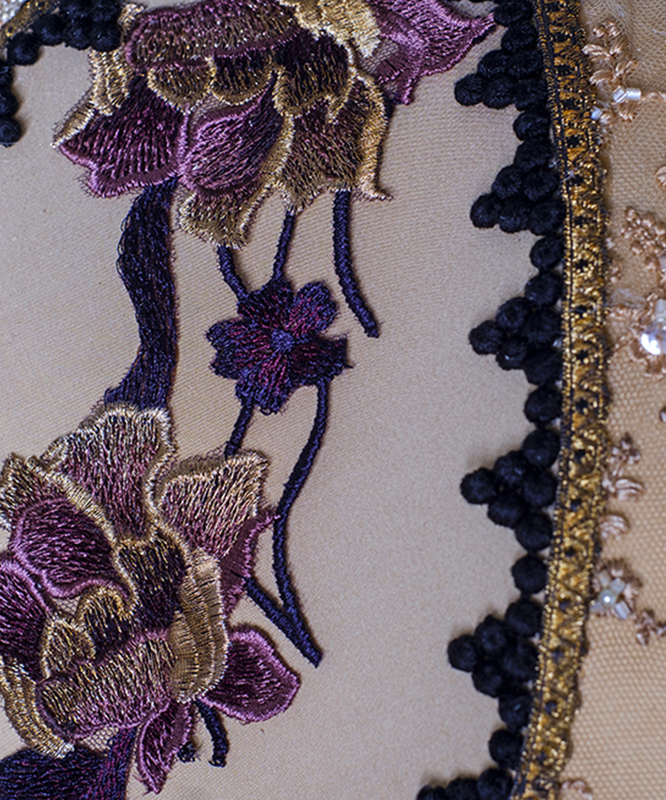 Each element is cut out and sewed by hand. 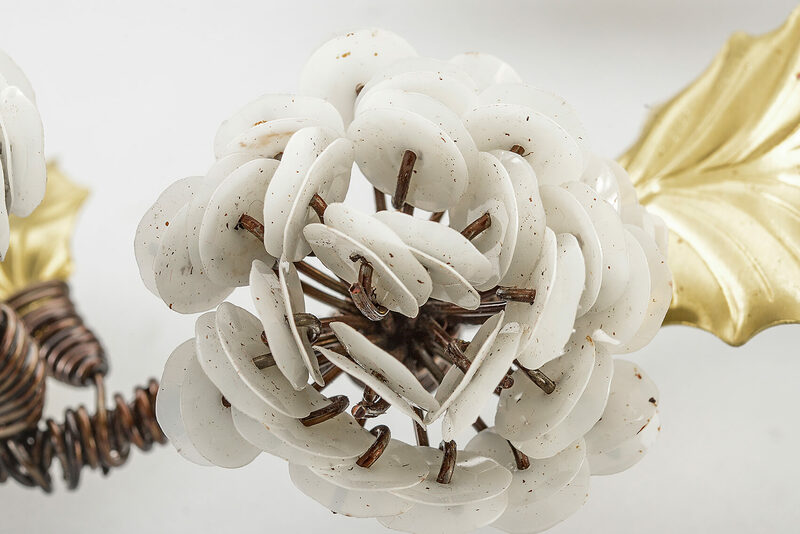 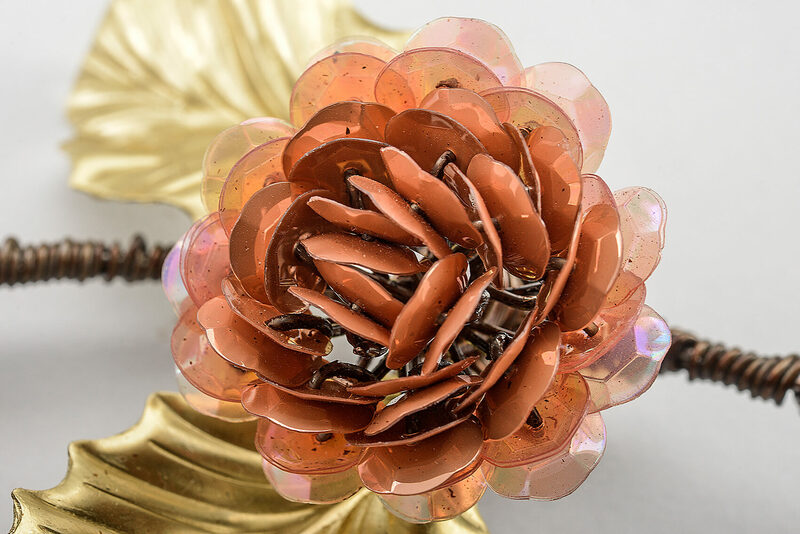 The spiral, recurring decorative element in the chandeliers collection is here directly inspired by nature in the shape of a common snail, known also as Helix Pomatia. 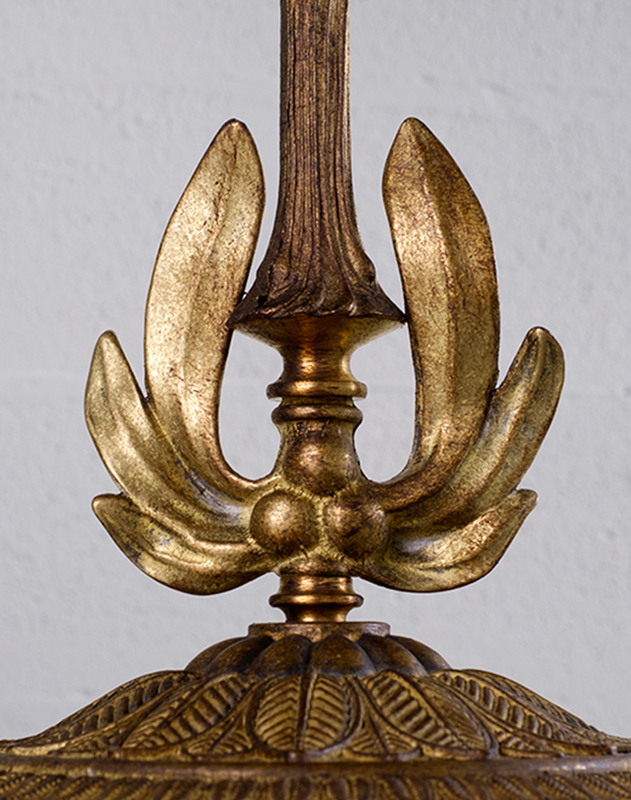 The sinuous shape of the base and of the iron structure also recalls the Liberty style. 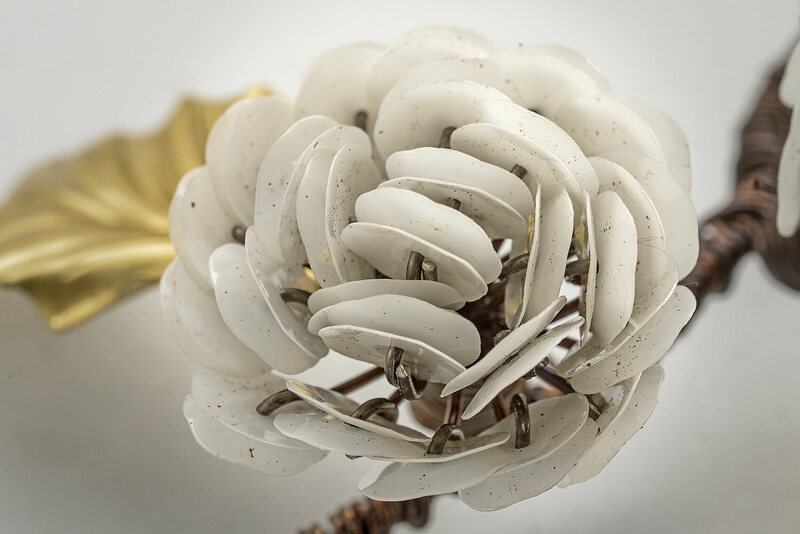 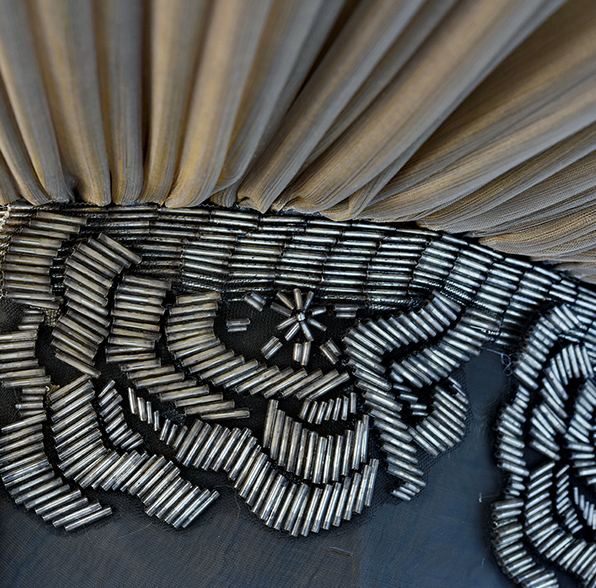 Each one of the fiberglass clippings forming the cochlea is cut out, assembled, and sewed by hand, as are the crystals closing the two ends of the spiral.